Our castle accommodation offerings in Ireland range from the contemporary style of our Garden Suites to the country charm of our courtyard rooms- that were converted from stables - to the more traditional elegance of our Castle Suites. Enjoy the spa influenced bathrooms with boutique amenities and rainforest showers, stylish flat-screen televisions and wireless internet. Nestled at the water's edge of Lough Eske, near the famous Blue Stack Mountains in Ireland, is the luxurious Lough Eske Castle hotel's spa. 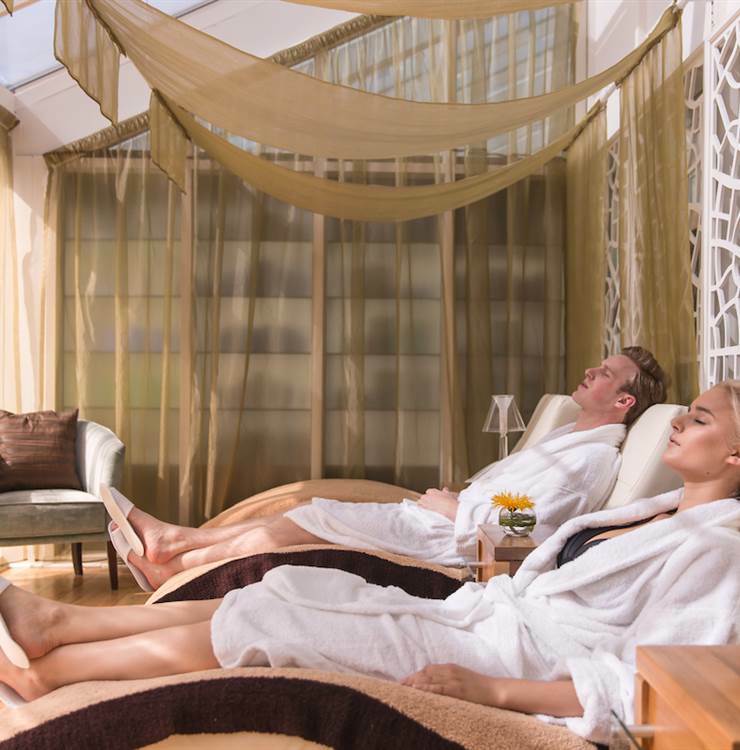 Our Donegal spa is your escape to a world of well-deserved pampering and natural, restorative therapies. Situated in the castle garden, the refreshing, peaceful setting is reflected in the building's natural sandstone and rich wood floor features. Savagely beautiful and wild, Donegal is a place of dramatic landscapes, ragged coastlines and vast seascapes. Named as the Coolest Place on the Planet by National Geographic Traveller in 2017 there really is nowhere like it to escape to. Co. Donegal is also renowned as a place of warm and genuine hospitality where the people will welcome you as one of their own and look after you like friends. 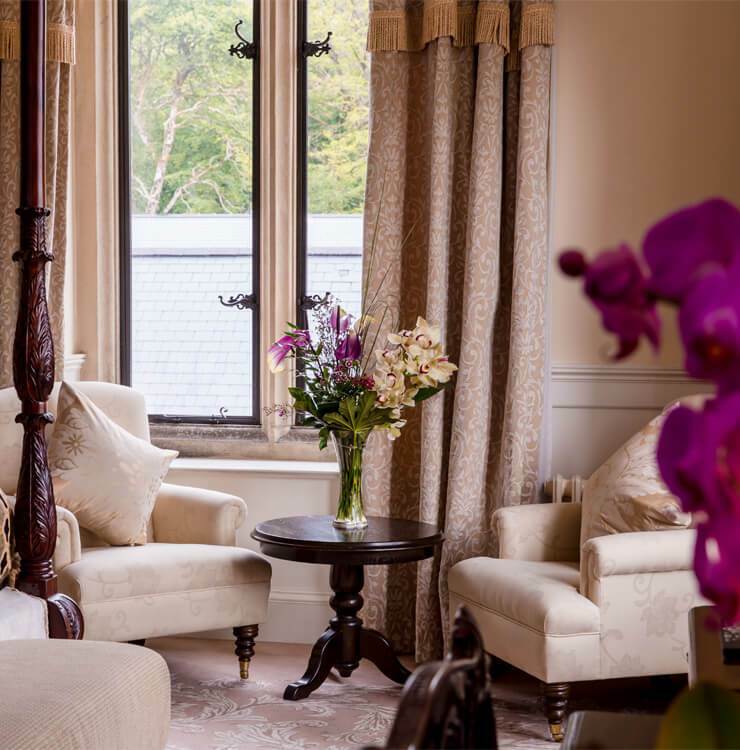 Nestled amid all this majestic scenery, the 5 star Lough Eske Castle is a place of true Donegal welcome with every aspect of the hotel knitted into the fabric of the people and the area. 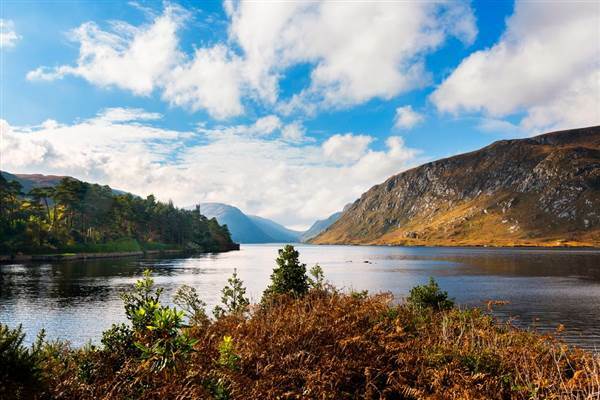 It is the perfect location for Donegal getaways and Donegal vacations. This castle hotel in Ireland has been meticulously restored to recreate the glamour, style and elegance it had once known combined with all the modern amenities expected of a 5 star Donegal luxury hotel. Whether you come to discover the real Donegal, celebrate a romantic milestone or retreat from the world, everything about Lough Eske will lend itself to achieving this. A long list of enviable and prestigious awards has been received by Lough Eske Castle Hotel including being named in Condé Nast's, Ireland's top ten luxury hotels 2018, Ulster Wedding Venue of the Year 2017, Luxury Hotel of the Year 2017, Ulster Spa of the year 2016, Travelers Choice Award 2016, Luxury Castle Hotel & Spa of the year 2016, Venue Coordinator of the Year 2016. Somewhere this wonderful must be experienced, again and again. 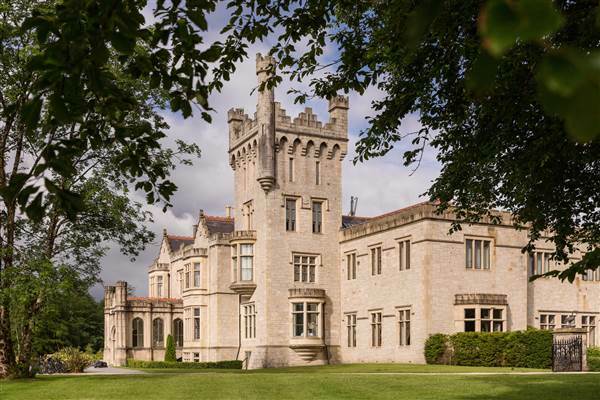 Lough Eske has a long history which is wrapped in the story of Co. Donegal and Ireland. It is a story of being carved piece by piece from local stone carried by Clydesdale horses along specially constructed roadways. It is a tale of being won, lost, ruined and restored. Powerful 14th-century clans of Donegal the O’Donnells had their seat here, wealthy landowners ruled from here and Edwardian glamour was played out. Located in an area of intense beauty, a rugged landscape of mountains and lakes, this is a place that is authentic and wild; tamed yet free. It has had a turbulent history but one throughout which a grand house has always stood.